Heading EMEA SaaS Marketing to accelerate digital marketing transformation to support Oracle Enterprise Applications leadership on the cloud across ERP, Supply Chain Management (SCM), Human Capital Management (HCM), Enterprise Performance Management (EPM) and Customer Experience (CX) – Sales, Service, eCommerce, Marketing, Configure, Price & Quote (CPQ) clouds. Prior to Oracle, Emmanuel was Vice President of Marketing, Southern & Northern EMEA at Salesforce.com leading corporate marketing and communications. As Senior Vice President at Sage Software, Emmanuel created the Enterprise Products Management division covering ERP and Financial solutions for mid-market and large enterprises. He lead strategy, market analysis, functional and technical definition of products such as Sage ERP X3 and Sage FRP as well as their marketing. “His solid international experience in software and large accounts represents a real asset to our division.” says Christophe Letellier, General Manager Sage ERP X3. Emmanuel joined Sage in 2007 from Sun Microsystems, based in the Bay Area, where he lead field software marketing as the director of world-wide field software product marketing for three years after running Marketing, Channel and Alliances sales in a combined organization for Sun in France. Prior to Sun, Emmanuel was director of marketing & alliances sales at PeopleSoft France, member of the management committee. During his tenure, PeopleSoft France has been recognized as the #2 ERP vendor for France by both IDC and PAC (Pierre Audoin Consultants) and awarded in 2002 as the “Best Communicating IT Company” by the IT Press Club. 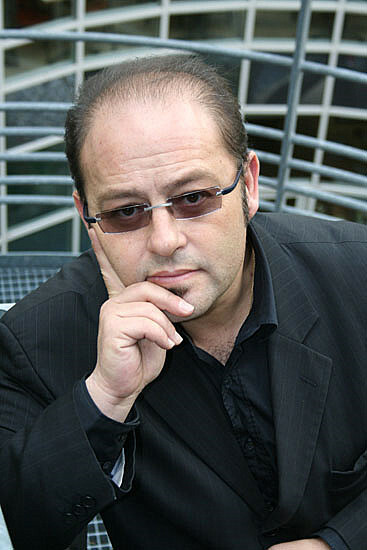 Between 1994 and 2001, Emmanuel held various positions in Lotus Development and IBM starting as Communication Business Unit Manager for France mainly focused on Lotus Notes marketing; then moved to the role of Product Sales Manager thus creating a unified technical pre-sales team composed with product specialists and former Sales Engineers. He was promoted in 1998 as Director of Technology Group for Europe – Middle East – Africa, in charge of technical pre-sales activities, technical enablement, strategy, product management and one of the four strategic Lotus EMEA programs. He then stepped in as Director of Marketing and e-business development for IBM Software, Western Europe. In 1990, Emmanuel served four years as the Director of Marketing and Chief Technology Officer at Kortex, a European modem manufacturer. He started his career in 1986 as the founder and CEO of KSI, a communication software vendor in France. He holds an engineer degree in telecommunications from the Institut National des Télécommunications, France.